Thanks for this look into your connection to one of your earliest collectibles, Gus. 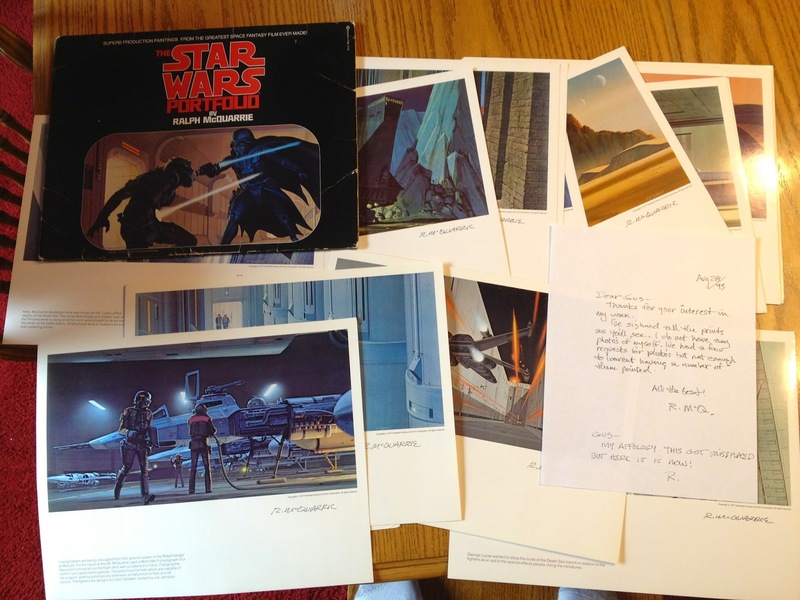 McQuarrie's work first really hit my 8-year-old radar in 1980 when Topps included a subset of "Space Paintings," concept art, in their The Empire Strikes Back trading cards. I've eagerly appreciated Ralph's profiles and interviews over the years including a cover story from The Star Wars Insider #24 which, incidentally, would have been in our mailboxes exactly 20 years ago.